IECO has agreements with the following organizations to provide its members with appropriate research training facilities. As an IECO sponsor, the COSO Foundation has a framework partnership agreement with the University of Valencia – Estudi General for carrying out joint research and development projects and programs through IECO, cooperation in training for research staff and mutual advisory services. Under a subsequent specific agreement, Professor Manuel Guillén from the “Juan José Renau Piqueras” Department of Business Administration at the University of Valencia was appointed as IECO’s Academic Director. As an IECO sponsor, the COSO Foundation has a partnership agreement with the Polytechnic University of Valencia for cooperation in staff training, scientific research, technological development, the exchange of experts and educational cooperation programs. IECO has a partnership agreement with the University of Navarre through the Department of Education for conducting research projects in school organization and management and school leadership. 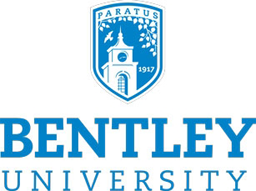 To promote research into business ethics and corporate social responsibility, IECO has established a partnership agreement with the Center for Business Ethics at Bentley University. This includes making their facilities mutually accessible to post-doctoral students and PhD candidates as visiting scholars. IECO has a partnership agreement with the Royal Complutense College (RCC), which was created by the Complutense University of Madrid and Harvard University to facilitate Spanish research in the Boston, Mass., area. The RCC is located on the Harvard University campus. Under this agreement, IECO and RCC work together to arrange training for professionals and academics. IECO has a partnership agreement with the UNESCO Club to set up the IECO-UNESCO International Chair for Management, Governance, Trust and Otherness which is jointly associated with the University of Valencia and the Polytechnic University of Valencia. Its mission is to provide practical and theoretical tools for creating and expanding mental frameworks based on trust and otherness for the common good, enhancing leadership, ethical rearmament and coherence between the political, private, public and personal realms, as well as improving personal skills applied to management in the public sector.